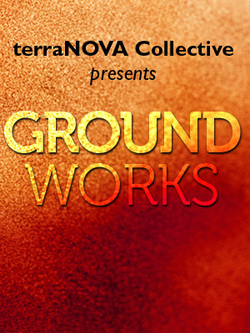 terraNOVA Collective is proud to present four new works as part of our latest Groundworks series. J. Julian Christopher, Jennifer Lane, Leah Nanako Winkler and Lucy Gillespie. All public performances will take place at IRT Theater, 154 Christopher Street, between Greenwich and Washington. Tickets at the door at IRT Theater - suggested donation $10. 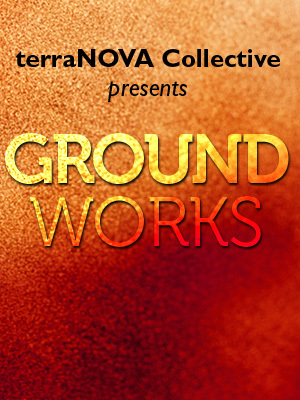 Our Groundworks series is supported by Brooklyn Brewery and Monsieur Touton Wine. A red neck, blues-playing sonofabitch spearheads a national campaign to elect George H. W. Bush to the Presidency. Bulldozing careers and smearing good names, Lee Atwater's way with the ladies and the media put him on top of American politics, until the day he discovered an inoperable brain tumor. Through song, soul and sass, Atwater comes face to face with his greatest fear - himself. The past and present collide in the forms of Eleanor and Emily, two women who haunt the same room at the Elgin Institute of Mental Health. Though they live a century apart, finding each other may be their only hope of a life outside hospital walls. Borrowing from contemporary tropes such as ”teen comedy” as well as classical fairy tale narratives DEATH FOR SYDNEY BLACK highlights the untenable standards girls are subjected to daily while encouraging uncensored, brutal insights about womanhood. As characters sing, rap, and enact various versions of a familiar story where the unpopular girl becomes popular, as harsh realities are remembered and roles are reversed, the girls realize they’ve been stuck in the same narrative since the dawn of fairytales through “chickflicks” in 2012 and beyond.